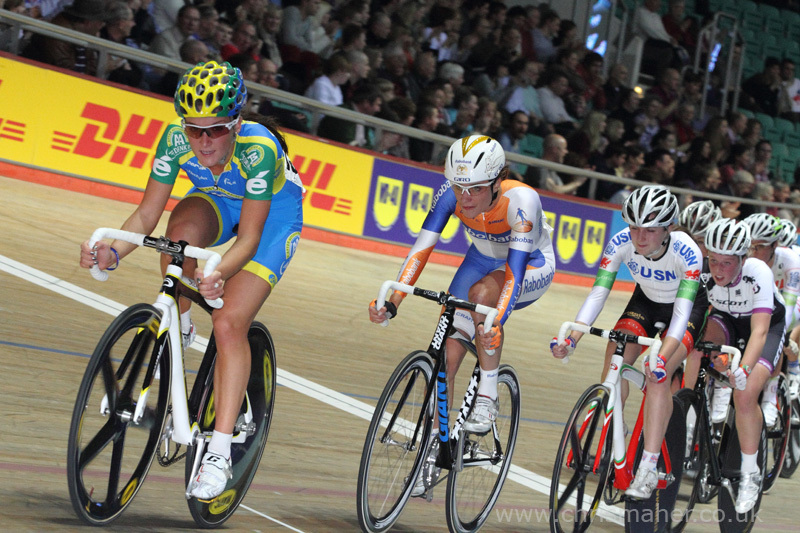 The first race in the special women’s event for round two, the Revolution Omnium is between Great Britain& the Netherlands. 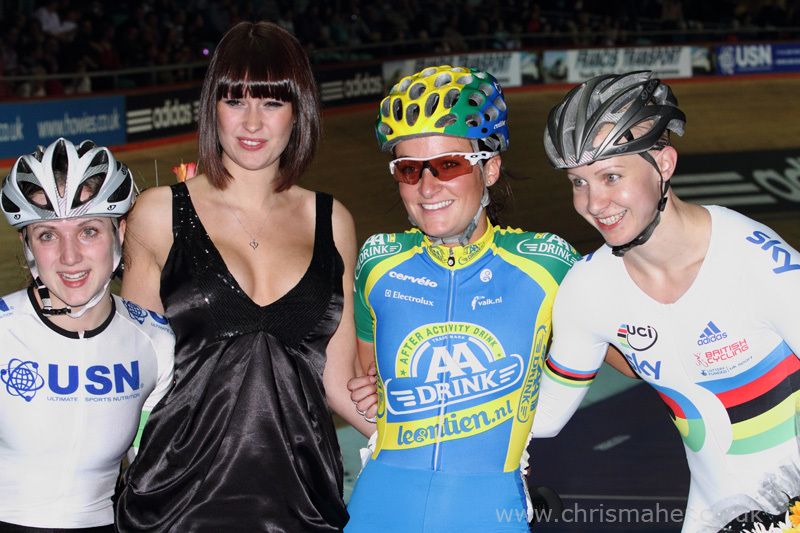 Bringing together for the first time on the track, the 2012 London Olympic Road Race Champion Marianne Vos and silver medalist Lizzie Armistead. 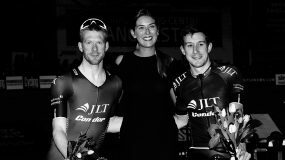 This race is a crowd pleaser, and with a full house in Manchester once again, all eyes were on Lizzie Armistead. 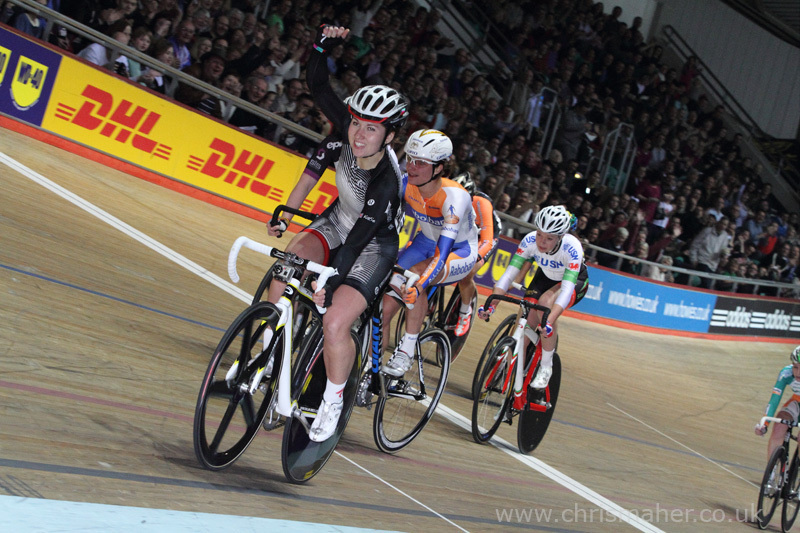 City of Edinburgh’s Charline Joiner was the first to leave the track but it’s very easy to get caught short in this fast paced race. Tension built at the riders were eliminated one by one, but the build up couldn’t of been scripted any better with Vos & Armitstead down into the last five. With Colclough, Roberts & Junior World Road Race Champion Lucy Garner leaving in that order, we got our re-match of the sprint on the Mall. 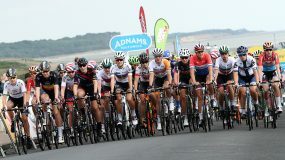 Vos & Armitstead rode around the second last lap, switching positions, but Vos had the upper hand and went on to win this first round. 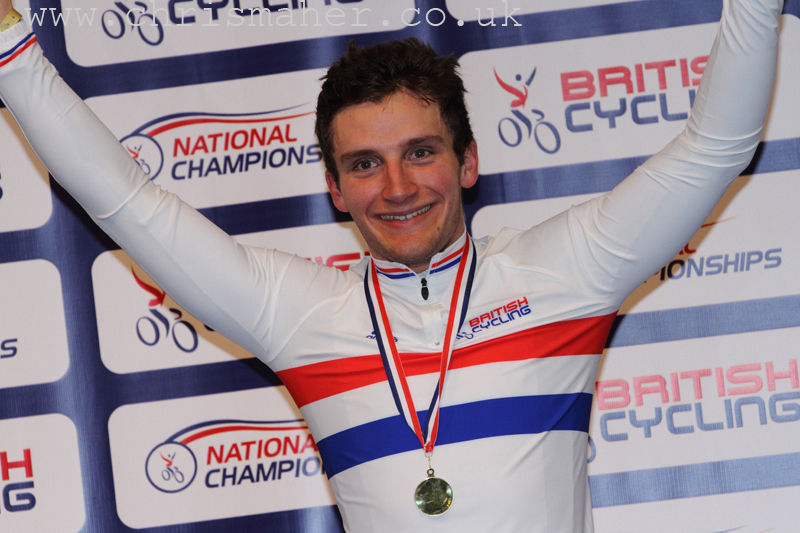 It was the Brit’s that got the upper hand in the Revolution Omnium. 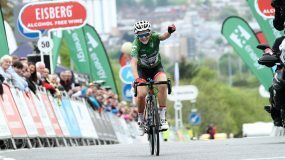 Team Specialized – Lululemon’s Katie Colclough broke free in the dying laps to take the win, with Vos once again stamping her authority in the bunch sprint for second. 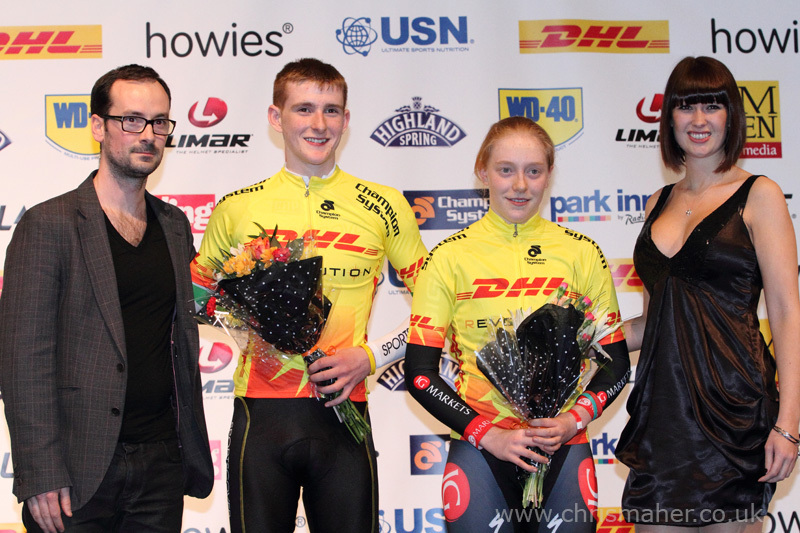 Last years DHL Future Star Champion Emily Kay mixing it with the big girls now, pulled off an impressive third. 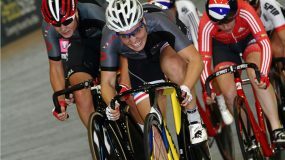 TheGreat Britain squad of Armitstead, Rowsell & Barker took the Team Pursuit from theNetherlands, but only just. 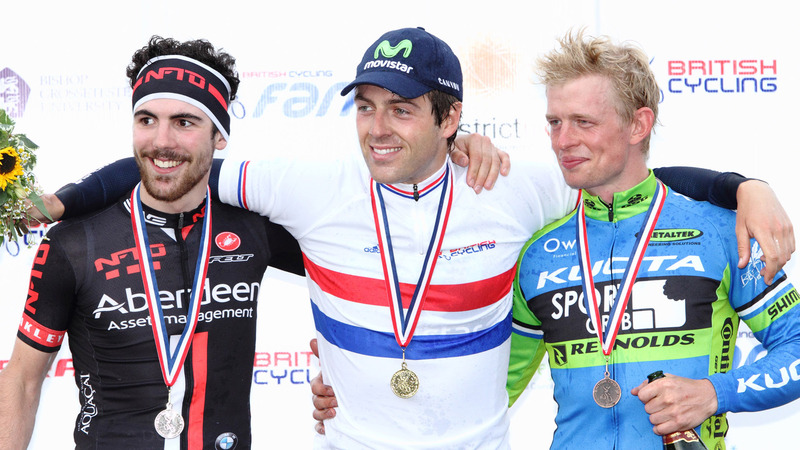 Vos & Co edged away in the beginning, but were reeled back by the Brits before Vos pulled them back into contention. 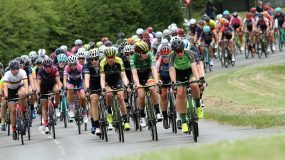 Vos’s team mates couldn’t quite match her pace in the last kilometre and the gap that appeared probable cost them the win. Great entertainment for the Revolution crowd who were on the edges of their seats. 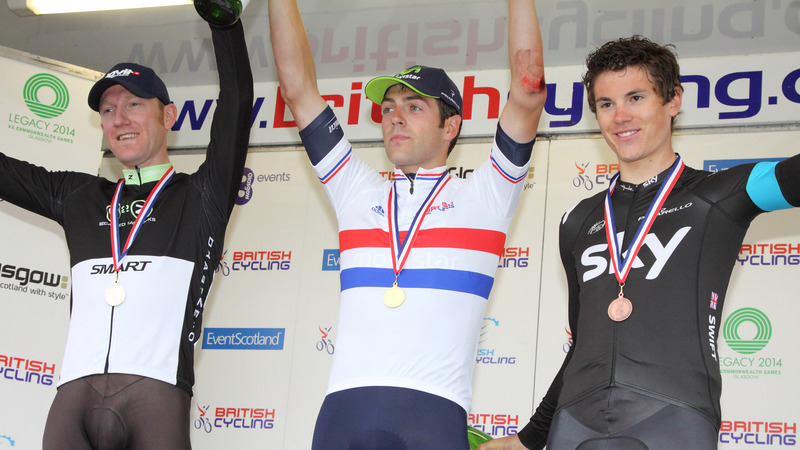 A big turn around for the fortunes of Sky Procycling’s Luke Rowe & Alex Dowsett. 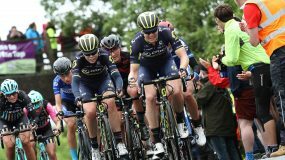 Finishing in the bottom half of the championship leader board in round one, Rowe & Dowsett proved a winning combination that helped promote the team to fourth position. 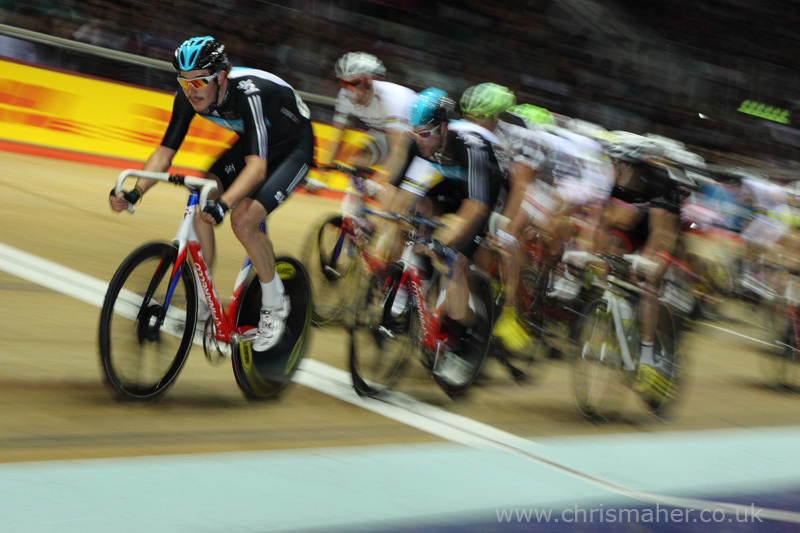 Rowe’s win in the Elimination & the Point’s Race, along with Dowsett’s victory in the Scratch Race has got them back in contention at the halfway point in the series. 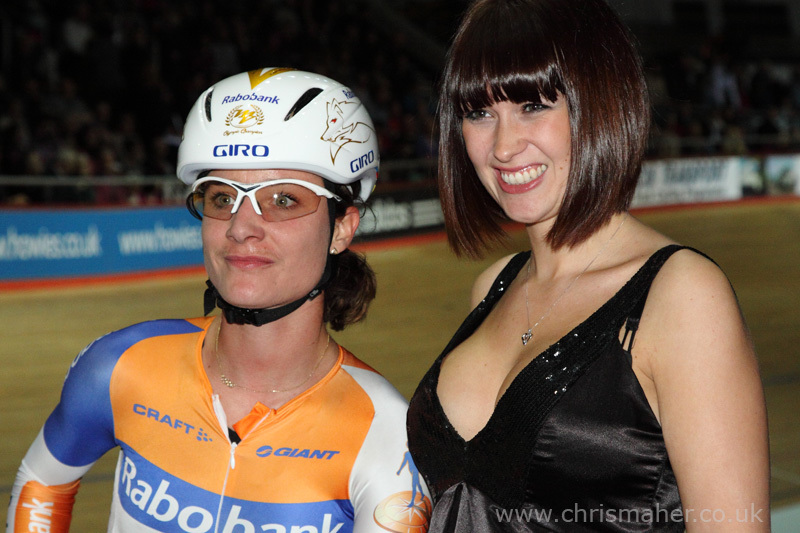 Ev18 Marianne Vos wins the Revolution Omnium. 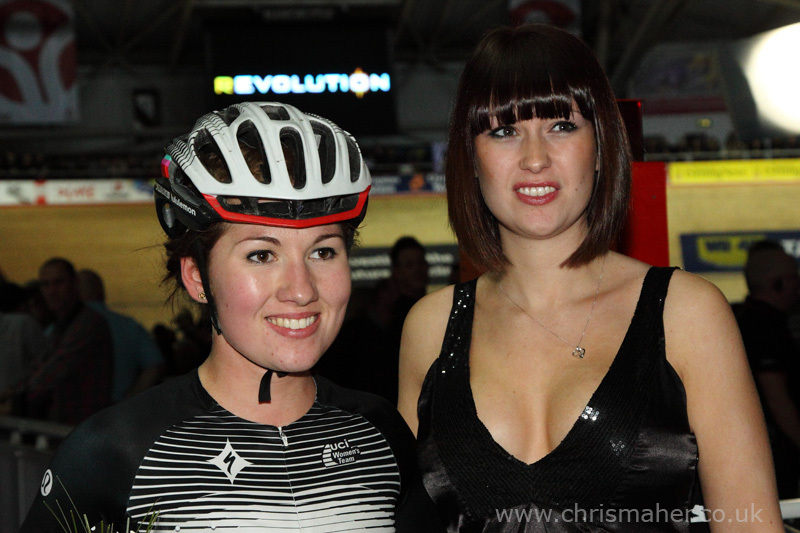 The next round of Revolution will be race 39, on 05th January 2013, with highlights on 09th on ITV4 at 20.00pm.